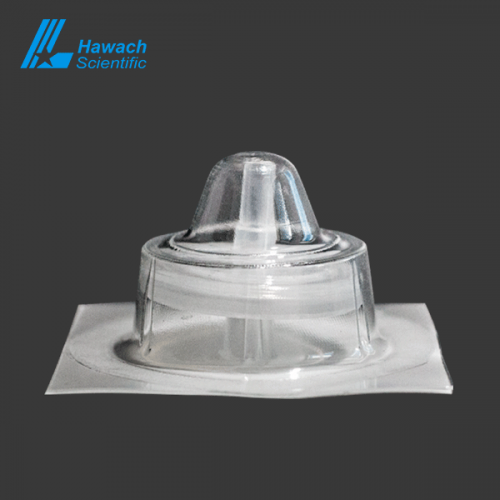 The imported membrane used and the ultrasonic welding technology introduced to guarantee there is no impurity involve in. 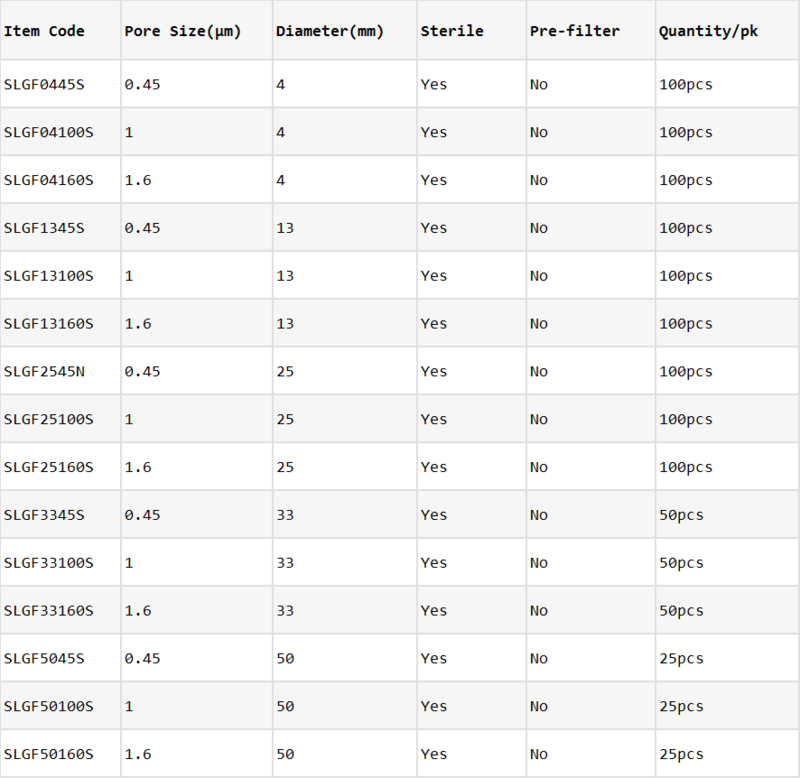 Very low hold-up volume or dead volume helps you to recover virtually all of your sample solvent after filtering. 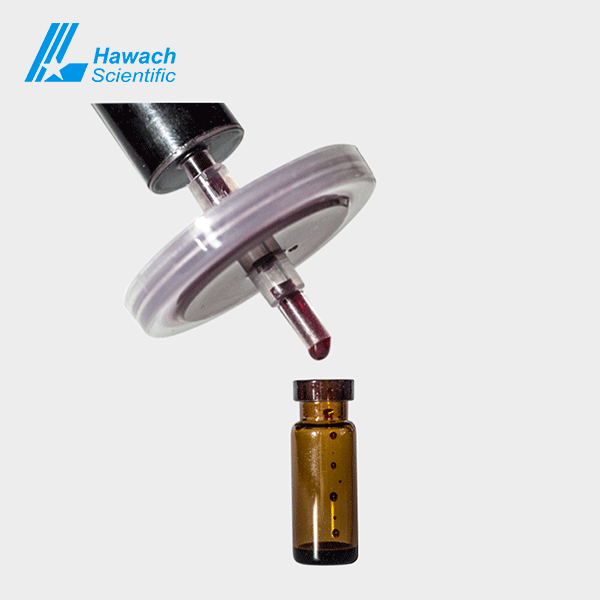 Our plant is ISO9001 certified and the syringe filters are CE accredited. 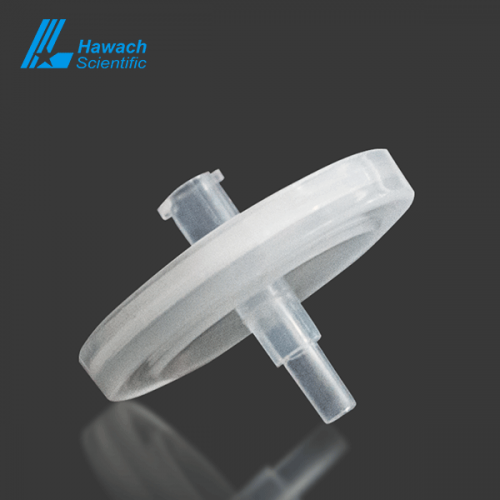 The membrane of Sterile Glass Fiber Syringe Filters is a sort of hydrophobic membrane with a very high flow rate, made from 100% Borosilicate glass. The regular glass fiber membrane has very low extractable, which is a coarse filter, generally used as a pre-filter, can not filter hydrofluoric acid. 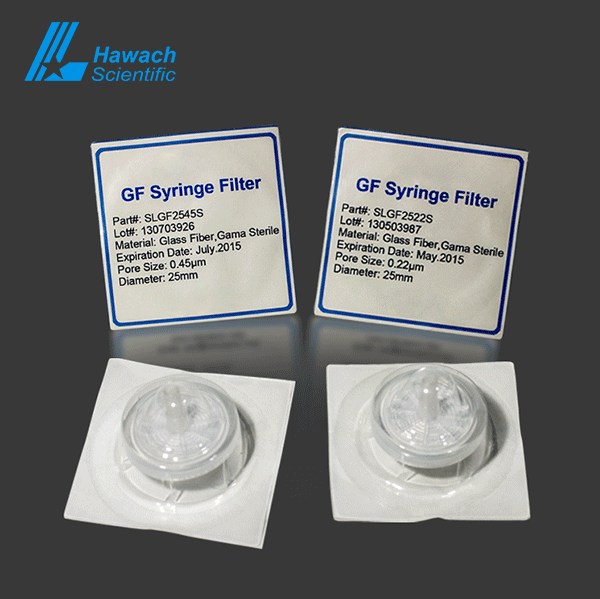 Sterile Glass Fiber Syringe Filters suitable for aqueous and organic solutions filtration. 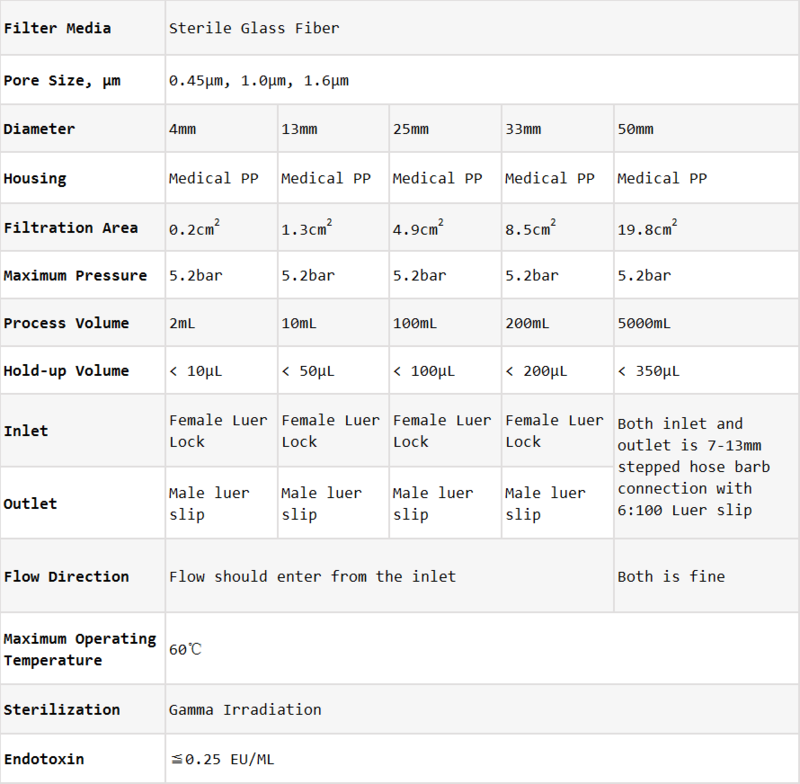 Sterile Glass Fiber Syringe Filters have a female Luer lock inlet and male slip Luer outlet.